Nurses say the healthcare giant's new Oakland Medical Center is plagued by dangerous equipment malfunctions, ineffective communication systems, and chronic understaffing. Kaiser nurse Jenna Dran said the new hospital lacked functioning equipment when it opened. In July, Kaiser Permanente opened its new $1.3 billion Oakland Medical Center — a twelve-story hospital that features a wide range of advanced technological features. Located at Broadway and MacArthur Boulevard, the center is one of three new Kaiser hospitals opening in the Bay Area this year. While officials with Kaiser, the largest nonprofit healthcare provider in the country, have touted the Oakland hospital's state-of-the-art features, nurses said that Kaiser has become increasingly reliant on technology in an effort to cut costs and maintain dangerously low staffing levels. Nurses say they often do not receive adequate training on how to use unfamiliar equipment, and in some cases, the technology itself is fundamentally flawed. More troubling, nurses said that multiple technologies in the new hospital — including a critical cardiac monitoring system — are malfunctioning on a regular basis, putting patients at risk. And despite Kaiser's investments in a modernized facility with cutting-edge technology, the hospital has been plagued this summer by a lack of basic supplies and functioning equipment, such as epidural pumps for mothers in labor, according to numerous nurses. "There's incredible technology in this new hospital. It's beautiful. But we are still having major, major problems and we don't have enough nurses," said Katy Roemer, a Kaiser Oakland maternity nurse. "This technology does not replace what patients need in the hospital. ... They are denying care to the patients who need it." Grievances at the new hospital align with broader concerns about the healthcare model of Kaiser Permanente, which critics say continues to prioritize cost savings over patients' needs — sometimes with fatal consequences. The Express' recent two-part series, "Deadly Delays," examined allegations of substantial flaws in the mental health services and pediatric care offered by Kaiser, which has its national headquarters in Oakland. And for months prior to the opening of the new Oakland Medical Center, Kaiser nurses have been speaking out about difficult working conditions and unsatisfactory patient care. The California Nurses Association (CNA) union, which is in the middle of contract negotiations with Kaiser in Oakland, has coordinated numerous East Bay rallies over the past year (see "Nurses Say Kaiser Oakland Is Shortchanging Patients," 1/15/14). With the new hospital — which replaces the former facility across the street, which will eventually be demolished — some nurses said they were hopeful Kaiser would address ongoing staffing and resource inadequacies. But the opposite has happened, they said. They allege that Kaiser has promoted an increasingly corporate-style, technology-driven model of care — one that has perpetuated existing problems and created new ones. The hospital, which has a total of 349 beds, includes a 24-hour emergency department, 8 labor and delivery rooms, and 14 operating rooms. The center is just one part of a larger medical campus that features six other buildings, including a new specialty medical center with offices, operating and procedure rooms, a laboratory, a pharmacy, and more. "They keep talking about their state-of-the-art facility, and they've put so many new systems in place, but then have given us no extra resources to learn these systems," said Juliana Rather, a registered nurse in orthopedics. "And these systems are having major problems." Rather, along with several other nurses, told me that one of the most troubling problems has been the ongoing failure of the hospital's patient heart monitor system. The technology, she explained, is supposed to send signals to nurses' phones when patients are experiencing abnormal heart rhythms. The system, however, has repeatedly suffered from glitches in which the connection between patients' monitors and nurses' phones fails, according to Rather. 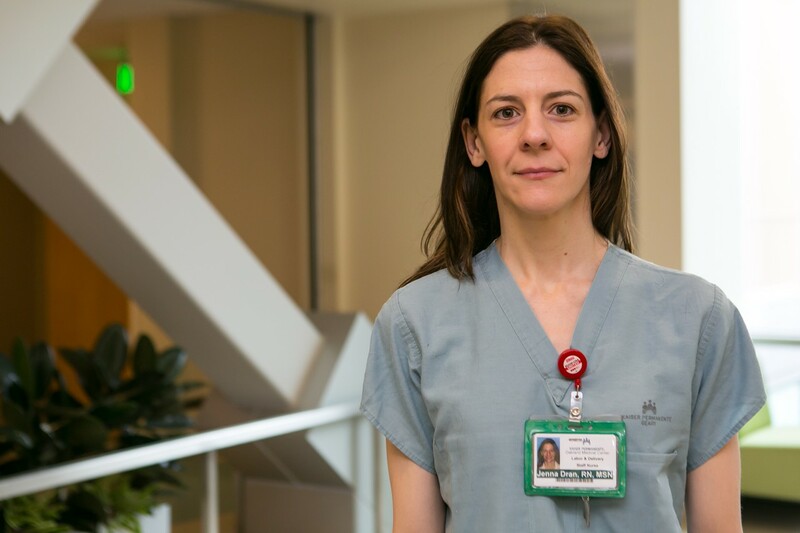 "When the system goes down, no alarms are going to the nurse's phone," she said, explaining that these malfunctions can lead to delayed responses to cardiac emergencies. Rather said she is aware of at least six instances of the system going down — one of which lasted for several hours — since the hospital opened in July. Exacerbating concerns about the monitoring system is the fact that Kaiser management has allegedly warned staff that it plans to eliminate the "telemetry technician" position — a staff member who is responsible for monitoring patients' heart rhythms and thus provides a safety net in the event of technology failures. Currently, nurses said at least one technician is typically on duty at all times. But Kaiser, Rather said, has made it clear that it plans to cut this position altogether, possibly by the end of September. Rather described a recent case in which a patient's heartbeat effectively stopped, but the cardiac monitor system did not detect it and did not send an alarm to nurses. However, the technician on duty noticed the emergency after about eight seconds and alerted the appropriate medical staffers. "If there hadn't been that [technician] there, how long would that have gone on?" Rather said. "That patient could've literally died before anyone realized, because the system didn't work." Jenna Dran, a registered nurse in labor and delivery, also said Kaiser seems intent on eliminating these technicians despite the very real risks that come with doing so. "They're trying to get rid of people based on the fact that this technology is up and running. But it's not up and running," she said. "It's just kind of catastrophic right now." And even when the heart monitor technology is functioning, the hospital's new phone alert system has been problematic, according to nurses. 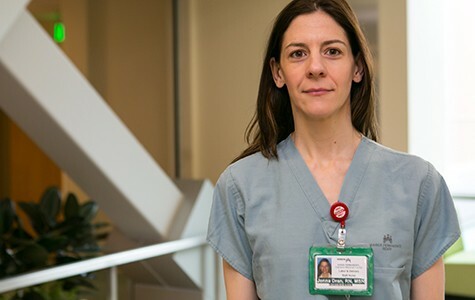 The mobile phones that nurses carry during their shifts are constantly sending them alarms — but the system does not do a good job distinguishing between emergencies and more minor calls for help, nurses said. That means that an alarm for an abnormal heartbeat sounds roughly the same as a patient's request for water. This leads to "alarm fatigue," said Rather, explaining that the consistent alarms make efficiently responding to the most critical emergencies difficult. "Nurses are being constantly bombarded by these alarms," she said. "Some are basically insignificant and others are life-threatening, right now." Wristbands that monitor the heart rate and oxygen level of patients on pain medication after surgery — sending signals to nurses when there is a problem — have also repeatedly malfunctioned, according to Rather. Complaints about technology and understaffing are not limited to a few nurses. In August, thirteen Kaiser Oakland nurses sent a letter to the Express raising a wide range of concerns about the new hospital, including ongoing tech glitches, missing equipment, and risky cost-saving measures. "It became clear from the moment the first patients were transferred into the new facility that the conditions were dangerous," the letter read. When the hospital opened, many critical supplies — including blood pressure cuffs, thermometers, diapers, alcohol wipes, and intravenous fluids — were unavailable or broken, according to the letter. Nurses have also filed an increasing number of Assignment Despite Objection (ADO) reports (formal complaints to management about unsafe conditions at the hospital, often related to staffing concerns), and of Technology Despite Objection (TDO) complaints (accusations that the hospital's technology is preventing them from providing safe care). According to data the union sent me, Kaiser Oakland nurses filed a total of 328 complaints (ADO and TDO reports combined) in July and August, since the new hospital opened. That's roughly 164 complaints a month. By contrast, at the old hospital, between January and July of this year, nurses filed 658 of these complaints, or about 110 a month. In terms of understaffing, Rather said Kaiser regularly ignores the recommendations of its own computer system that calculates the number of nurses that should staff a given shift, based on the number and conditions of patients present. Instead, management frequently schedules the minimum number of nurses allowed under the state law that governs nurse-patient ratios. Rather said that based on reports compiled by nurses, in a recent fifteen-day period, thirteen shifts at the hospital had fewer nurses on staff than Kaiser's computer system recommended. Rather further argued that the computer system itself already underestimates the number of nurses needed on a given shift, because it does take into consideration new, time-consuming duties nurses now have as result of the new technology. "They kept reassuring us that we were going to have enough staff and equipment," said Dran, noting that nurses have been raising concerns to managers since touring the new hospital last year. "When we opened the hospital, in [the labor and delivery] department, we did not have vital equipment." The lack of functioning epidural pumps, which provide pain relief for women in labor, was especially disconcerting, Dran said. Odette Bolano, senior vice president and area manager for Kaiser's East Bay Service Area, sent a lengthy statement to the Express, contending that each claim by the nurses was unsubstantiated or false, and arguing that the union is pushing the allegations — and the formal ADO complaints — as a bargaining tactic. "We use appropriate technology because it benefits our patients and leads to better, more reliable and consistent patient outcomes," the statement said. The allegations of cardiac monitoring malfunctions are false, the statement said, adding that the system is superior to the one at the old hospital and that Kaiser "conducted a comprehensive review and quality checks and found 99.9% reliability of the [cardiac] paging system in delivering good information and alarms to nurses' devices within 10 seconds." In response to the assertion that Kaiser plans to eliminate telemetry technicians by the end of the month, Bolano said the hospital is continuing to train staff on how to use the new technology and will maintain the tech positions until clinical staff feels confident with the system. The statement also argued that "alarm fatigue" is a concern nationally. Regarding allegations of inadequate supplies and staffing, Bolano said the new hospital has provided all necessary equipment, and that Kaiser increased its inventory to accommodate nurses' requests. She said the hospital also increases its staffing based on the complexity of patients' needs. "Our nurse staffing meets and often exceeds state-mandated staffing requirements," the statement said, adding: "Nothing is more important to us than ensuring the safety and well-being of our patients."